For those paying attention this is no surprise. For traditionalists, it will come as a shock that country rap is quickly becoming the most popular sub genre in country music. The genre has been through its share of changes over the years including many pop-influenced moments. But never in history has rap music been combined with country to the point of becoming hugely popular. There have been efforts, but up until the last year it has always been kicked to the side. It took the work of a few popular artists to really bring rap music to country. It’s been a long time in the works, but country rap is officially a genre of music. And it will be one of the biggest trends in country music throughout 2012. A constant in music, any genre of music, is change. There have been times of change in country music throughout its history. There were the original days of southern and mountain music. Bluegrass ruled the charts. Then there was the era of what is now considered traditional country music with the artists like George Jones and Hank Williams. Later came Johnny Cash, but soon after that the Nashville Sound era took over. It was slick and it was good in many ways. The ’70s brought the Outlaw movement of Waylon Jennings and Willie Nelson. They brought the first platinum selling albums. It was a huge change in tastes and it made people uneasy at first. The ’80s brought in more pop sounding music. It was almost back to the Nashville Sound days. The ’90s brought in a string of cowboy hat acts and more traditional sounding artists like Alan Jackson and Clint Black. Before them it was Randy Travis. Garth brought rock and roll to country music, but before him Hank Williams Jr. had done it throughout the ’80s. The 2000s brought back some pop music to country with acts like Phil Vassar and Rascal Flatts. Today there is a mixing of various sub country genres including traditionalists like Chris Young and Josh Turner along with pop acts like Taylor Swift and Carrie Underwood. I’m missing quite a few moments in there and many artists as well. Another sub genre I’m missing above is country rap. Today, country rap is a legitimate country music genre. The genre is really starting to gain and audience. Country rap artists are having hit records and videos. Their albums are sellin well and debuting high on the charts. The time is now for country rap. I’m not very good at finding the original beginning of country rap. I remember songs like I Wanna Talk About Me by Toby Keith and I Play Chicken With The Train by Cowboy Troy. Maybe that is where this thing really got started. Maybe it was Big & Rich that really looked to spread the boundaries of country music. I’m not entirely sure, but I think it was a combination of those things and many more that led us to where we are today. Country rap is becoming a genre busting type of music that has traditionalists going crazy or just ignoring the change. I think it’s a good thing to see country broaden even more to include more talented artists. Country music is one big top and it’s great to have all the talent in the world gathered under one genre. The real emergence of country rap has to go to Jason Aldean. Aldean is the one that brought country rap to the legitimate place of having a true smash hit record. Dirt Road Anthem became a number one song in 2011 for Aldean. His version of the track was perhaps the biggest song of the year. Jason is now working on a new record for 2012 and it’s almost a sure bet that the album will include some more country rap songs. Jason has mentioned it in interviews that it was a bit of a stretch to bring in the rap element to his music. He wasn’t sure if fans would love it or hate it. Enough loved it and now Jason is perhaps the biggest star in country music this year. But the success of Jason Aldean wasn’t even solely his. Dirt Road Anthem was written and recorded by both Colt Ford and Brantley Gilbert. 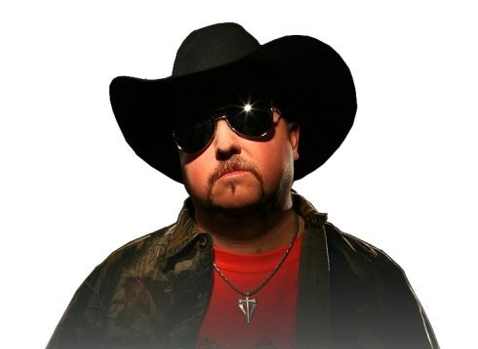 Colt Ford has been one of the biggest influences on country rap music. over the last five years he’s been bringing the genre into the forefront. His videos are hugely popular with his group of fans. His albums are now debuting at the top of the country charts. His songs have yet to become hits on radio for him, but he did have the co-write with Gilbert that turned into a huge hit for Jason Aldean. It seems like the next five years could really belong to Colt and his buddies. Brantley Gilbert has also had a number one song in the last year and he’s working on another top hit. Brantley certainly seems to have rap influences, but he also brings a little hard rock edge to country. I think he and Jason Aldean are really leading the way as far as mainstream country music goes. They are the two having success on radio with rap-influenced country music. The future is bright for country rap because of a few artists that are just starting to enter the mainstream country landscape. These artists include the already mentioned Colt Ford and Brantley Gilbert. In 2012, you’ll also hear a lot about Thomas Rhett. He seems to have a little rap music in him, but he mixes it well enough with today’s country sounds that it works really well. He has a little niche for himself and will be one of the biggest stories of the year. Another band that I heard for the first time the other day is The Moonshine Bandits. Those guys have a really cool sound and I think they truly capture again what this country rap genre is all about. Check them out and see what you think. Country rap is going to be one of the stories of country music in 2012. The roots date back to folks like Kid Rock and Uncle Kracker. 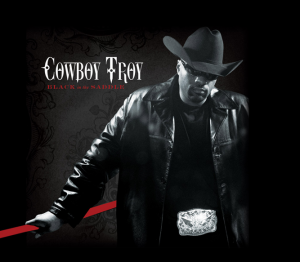 There is influence from true originators like Cowboy Troy and Big & Rich. The though of rap mixing with country will scare some folks. But with a good scare comes genre-changing sounds. Today that sound is Country Rap. If you think about it, country rap has been around for a pretty long time. Maybe not the way it is today but, for instance, check out C.W. McCall’s tune “Convoy” (cool movie too btw). He is pretty much rapping over a CB. George Jones, Conway Twitty, and a bunch of others used to do a lot of talking during the verse sections of the tunes. What do you think? Great point, Corey. I hadn’t even thought back that far. There has been some speaking verses in country before for sure. Convoy is a great tune.